a) On April 26, Merge (U.S.) and Wichita (UK) will be releasing the new Times New Viking album, ‘Dancer Equired’. We’ve heard it, and no matter what hyperbole our rec. biz pals are throwing around, it’s even better than whatever they’re saying. .
b) On Feb. 22, Jagjaguwar is issuing the 3rd album from The Cave Singers, ‘No Witch’. 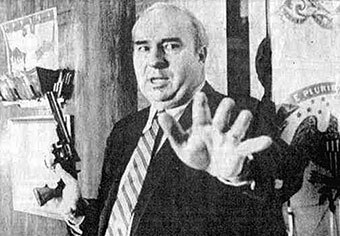 I’ve not heard this one (damn you, Web Sharrif! ), but when we’re promised the new full-length exhibits “a ferocity and bite we’ve yet to see from the band”, you can be certain I’m getting my rabies vaccination cash in order. Hope you do the same. Heading to the annual Musical Trade Fair That Also Features Unaffiliated Gigs thing in Austin TX this week? Well, do yourself the favor and check out The Cave Singers, Harlem, Fucked Up and Shearwater playing multiple times through the weekend. Here’s a useful breakdown by time and place for your calendars. 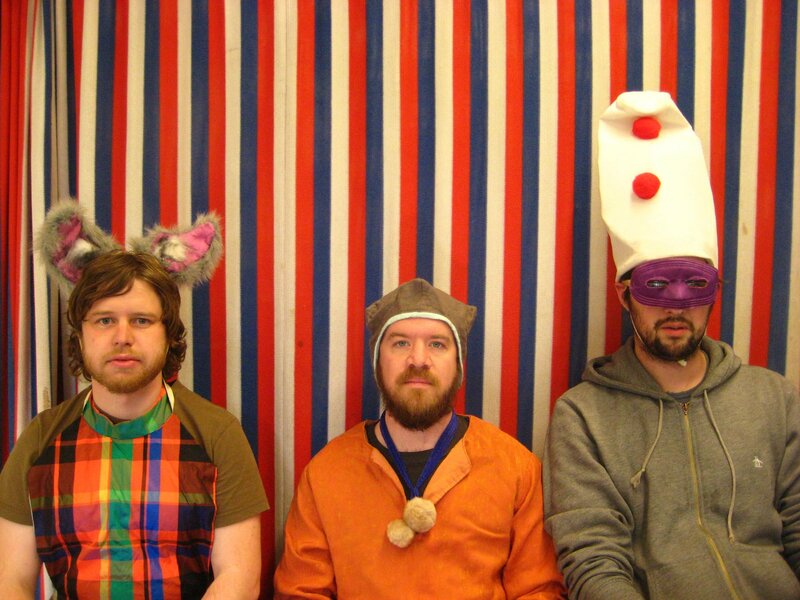 Was there a more unjustly slept on 2009 long-player than The Cave Singers’ amazing 2nd album, ‘Welcome Joy’? Possibly, but a straight answer to that question suggests some culpability on our part. Rather than play The Blame Game, let’s instead concentrate on your favorite Seattle trio and ours returning the highways and biways of this great nation later this month, for a lengthy tour (mostly) accompanied by The Dutchess & The Duke. 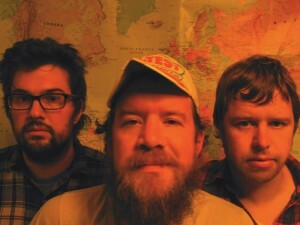 And The Cave Singers will be hitting SXSW, too (more news on that front later on). It may have taken place a few weeks ago, but we wanted to let the dust settle before unleashing some pretty stellar footage on the unsuspecting public. Local lads The Cave Singers performed a special set for KEXP listeners at the Bumbershoot Music Festival and a few songs are available for your listening and viewing pleasure. Feel free to enjoy “Summer Light” and “At The Cut” from their new album, Welcome Joy, as well as “Dancing On Our Graves” from 2007’s Invitation Songs, at KEXP.org. 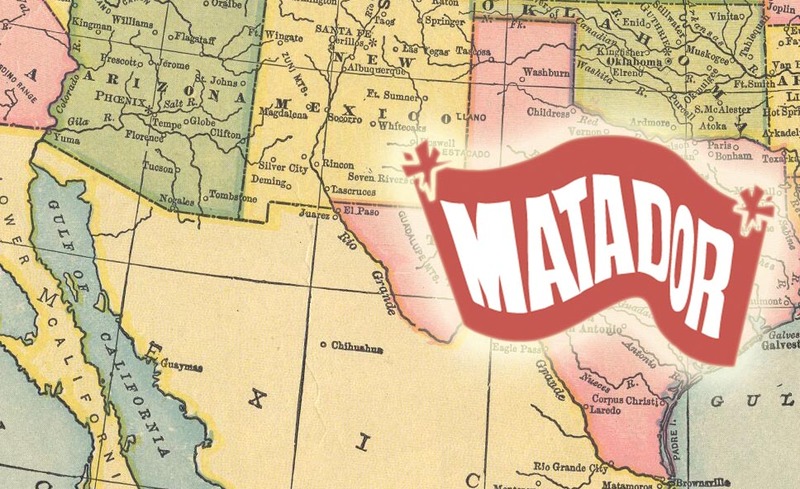 We have an old saying around Matador that “if loving Indie Retail is right, well then we don’t want to be bothered”…wait I’m not sure that’s actually the official company line. It’s early, I may have that wrong. What I do have right though is that The Cave Singers will be in Bellingham, WA today. At one of our favorite indie record shops, Everyday Music, to continue celebrating the release of their new album Welcome Joy. So if you’re in Bellingham today swing by for an early evening jam session that is sure to send you into the weekend on the right note. 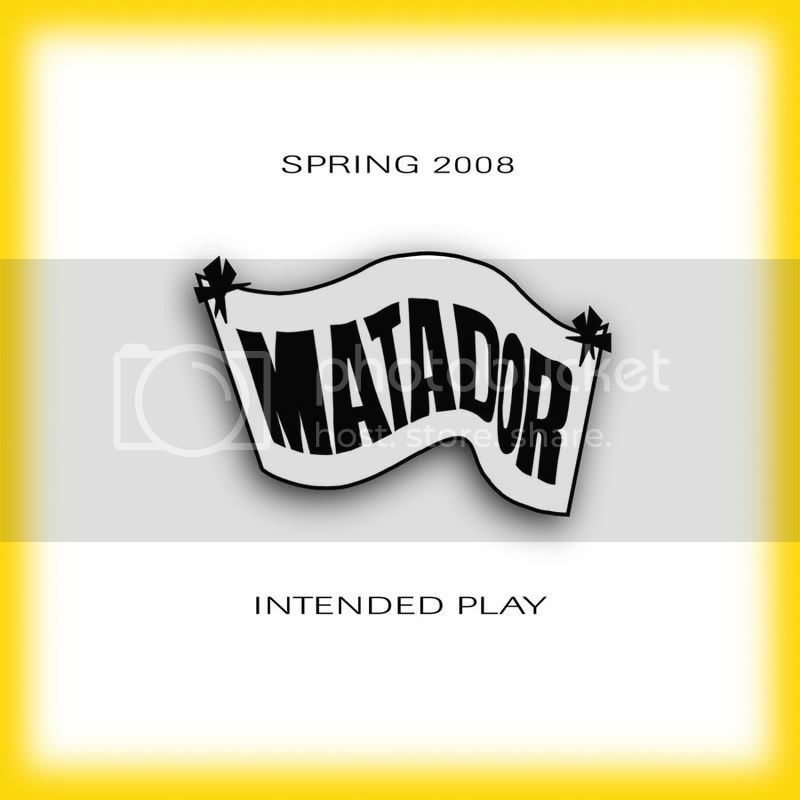 Anyone looking for their own copy of Welcome Joy should definitely check out the Matador Store to order a CD or LP! 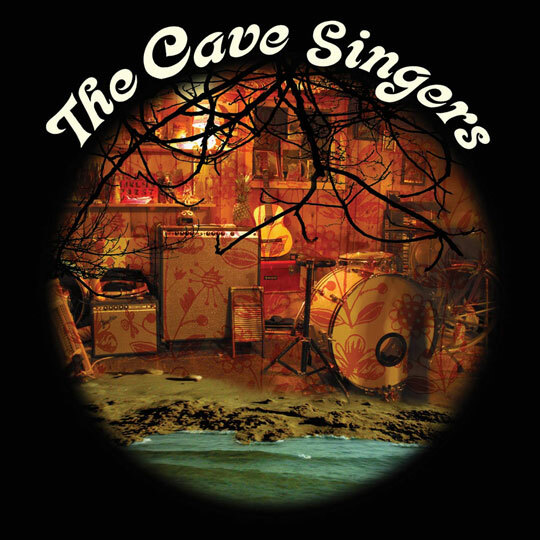 In celebration of their new album, Welcome Joy, the Cave Singers are bringing their music to the people. 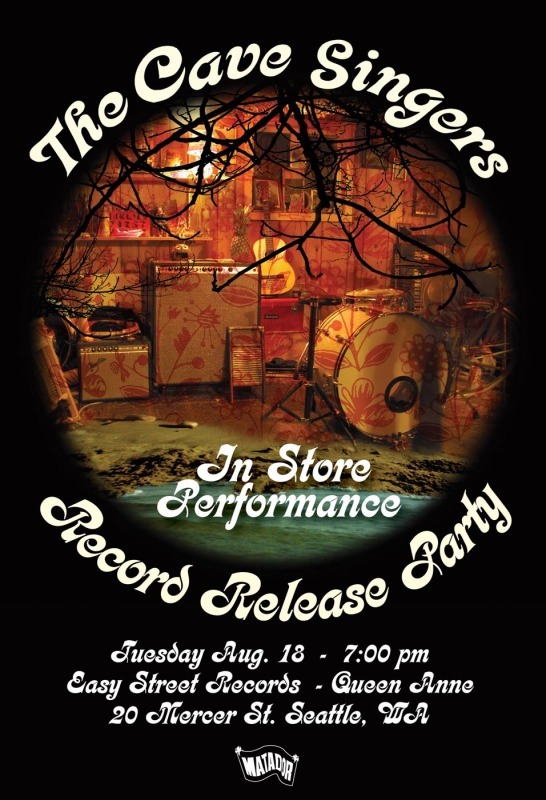 Anyone in Portland, OR today should swing by one of our favorite indie record shops, Music Millenium on E. Burnside, at 6pm to catch a FREE, all ages performance by the Cave Singers. 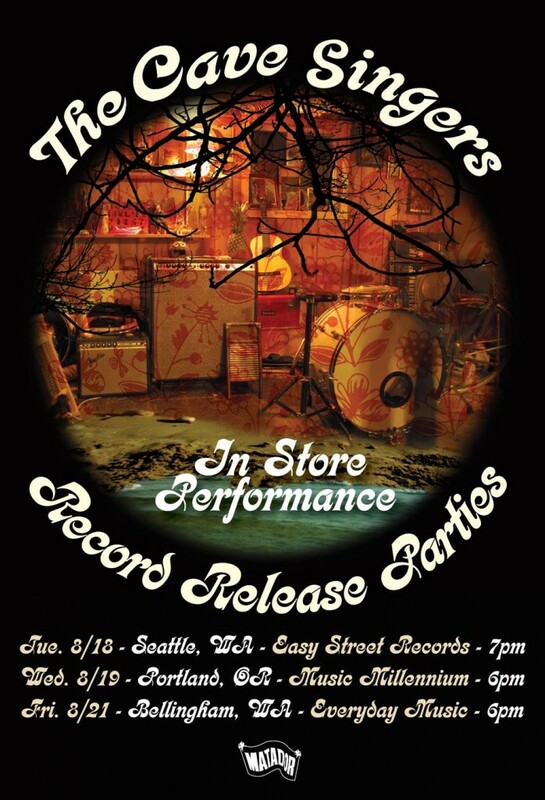 If last night’s Easy Street in-store in Seattle is any sort of preview, tonight’s performance should be a pretty rockin’ and fun time. Interested in landing a copy of Welcome Joy for yourself? Just visit the Matador Store and order your very own CD or LP. To celebrate the release of their new record, ‘Welcome Joy’, The Cave Singers are blowing out the Pacific Northwest with 3 record release parties around the area. 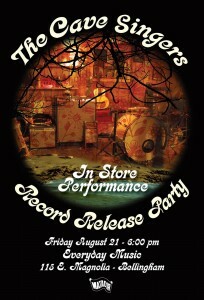 The band will play not one… not two… but THREE free, all-ages instores in Seattle, Portland and Bellingham, Washington. 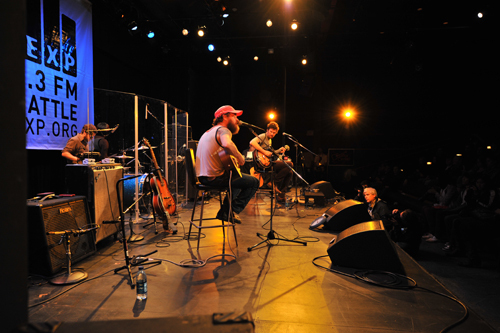 These performances will be followed by an appearance at Bumbershoot and a full US tour. Pete and Derek from The Cave Singers stopped by this morning, which reminds us they’ll be playing at Seattle’s Easy Street Records next Tuesday, August 18, to commemorate the release of their 2nd LP/CD/digital album, ‘Welcome Joy’. We’ve neglected to engage an energy drink sponsor for this event, so feel free imbibe good, old-fashioned tap water on premises. Despite their name, The Cave Singers do not actually hail from any physical cave that we’re aware of – though Seattle can be a dark and mysterious city, with its share of stalactite-esque hangers-on. Metaphysically, however, said Cave Singers have filled a cave-like void in Matador’s collective musical consciousness this summer. In delivering their sophomore album Welcome Joy, they’ve unleashed a followup that builds on the earthy, guitar picking, folkiness of their debut Invitation Songs, but with 10 times better production. Take a listen to the latest MP3, At The Cut, and let the Cave Singers rattle around the recesses of your brain for a while. Tell us you don’t just want to hop into a car and hit the highway full speed simply to see where the open road leads you? [Ok don’t actually tell us if you disagree. It’s not so much that we don’t care but instead know a perfect little cave (between your own ears) that we encourage you to voice your opinions.] At The Cut may just be a little teaser but luckily you don’t have to wait long, the whole album, Welcome Joy, hits stores Tue, Aug 18th! Also be sure to leave your caves (ok last poorly worded cave reference, we promise) when they swing through a city near you. You’ll be happy you did! The second album from Seattle’s Cave Singers is coming on August 18. 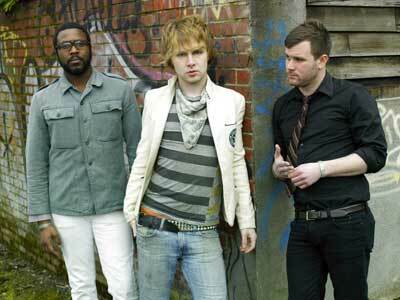 It is entitled ‘Welcome Joy’ and adds a world of color and nuance to the already great songs from their 2007 debut. The trio of Peter Quirk, Derek Fudesco and Marty Lund were joined on this record by Amber Webber (Black Mountain, Lightning Dust) and Ashley Webber (Lightning Dust). 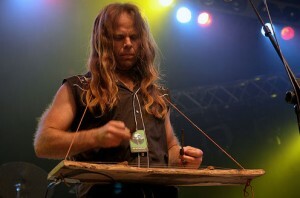 They recorded the album at The Hive in Vancouver with Colin Stewart. Look out for the Cave Singers this September and October as they’ll be touring across North America with Lightning Dust. Keep your eyes peeled for details, which will be coming soon. Just a friendly reminder that tonight there’s a Matador double header in London. 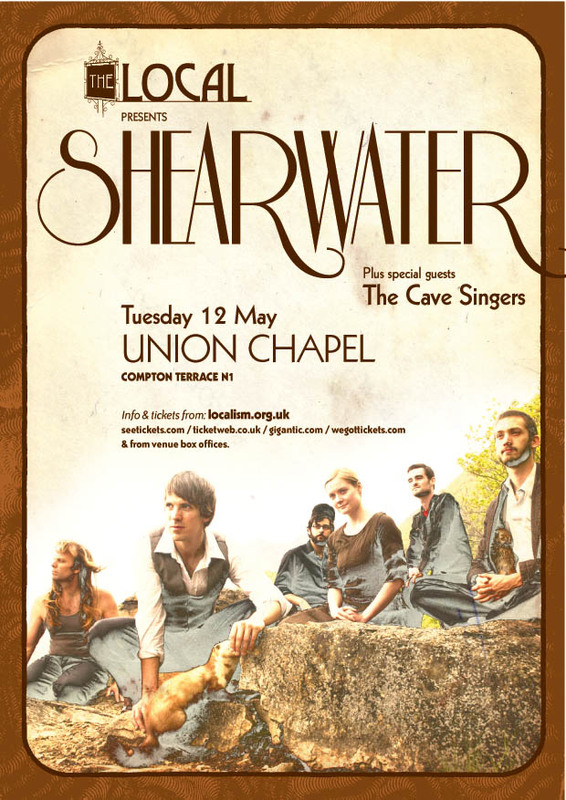 Having played the shopping mall interior at this weekend’s ATP vs The Fans, we felt the need for a more illustrious setting for Shearwater and The Cave Singers – the beautiful Union Chapel in Islington. 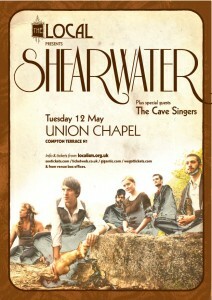 You can see The Cave Singers from 8pm and Shearwater say grace from 9pm. Many thanks for Fiona Diffley for photos from this weekend. It may not be of the magnitude of a Saturday Night Live appearance but other bands from Seattle have big news of their own to announce as well. In this case it happens to be news from our favorite bearded, guitar strummers of the Northwest, the Cave Singers, so of course we want to share it with people far and wide. Or at least people on the West Coast of the United States via the Matablog. Anyhow they’ve been enlisted to show Department of Eagles around the West Coast. We invite you stop by one of their shows starting this week. We can promise they won’t make you sit through Rosario Dawson skits, that’s a Matador guarantee! Jaguar Love’s performance at the Capitol Hill Block Party (Seattle, WA) will be webcast on KEXP.org tomorrow at 6:30 PST (9:30 EST). If you’ve not already made plans, Jay Reatard is on the Neumos stage tonight, while the Cave Singers are playing 2nd on the Main Stage tomorrow. The British love affair continues. I think it’s something to do with the high volume of beard per capita/band member. 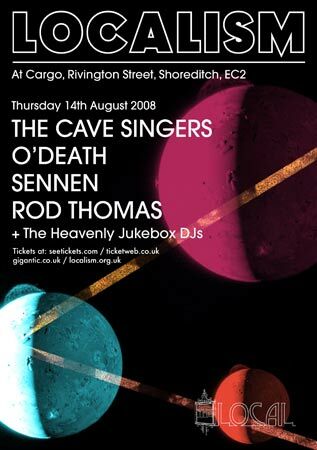 The above Cargo show is just one of many others Pete, Derek and Marty will be playing in UK, Ireland and beyond…. Thanks to Annette for the link. I’d like to see someone shoot the Cave Singers in a subway car. And that’s not a Bernie Goetz reference, either. 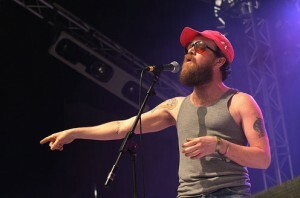 The Cave Singers return to Europe next week for some dates around the legendary Glastonbury festival. They’ll also be hitting London’s Hyde Park Wireless Festival courtesy of our friends at Bella Union offering a slot on their stage. We’re fairly sure that Jay-Z hand picked them too, though. 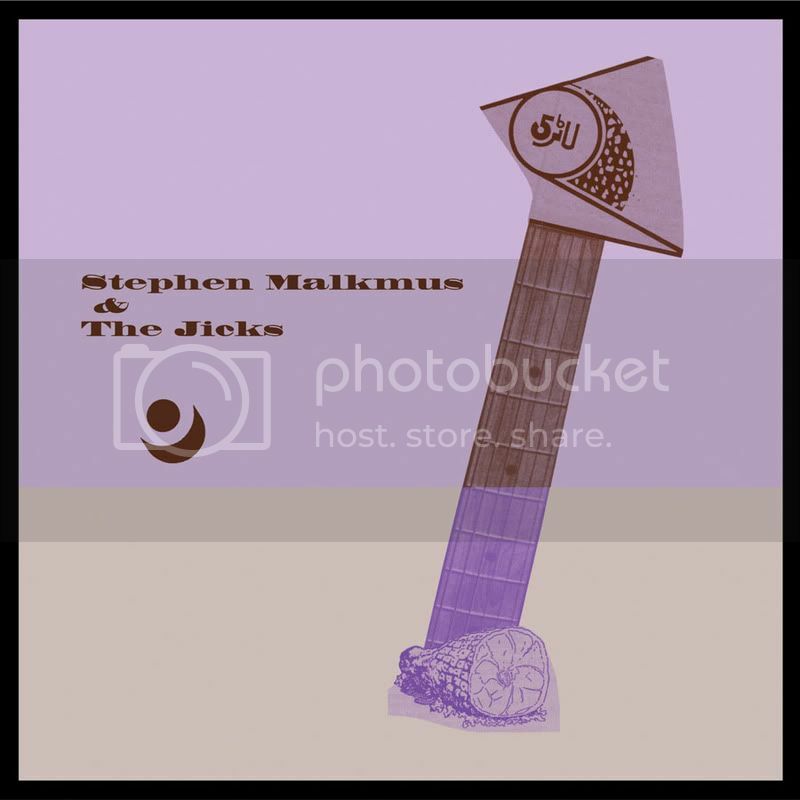 Author adminPosted on April 16, 2008 April 16, 2008 Categories Cave Singers, concertos, Dead Meadow, is everyone having a good time out there?, record shops, Stephen Malkmus and The Jicks, The New Pornographers, Times New Viking3 Comments on Matador Records and Record Store Day! 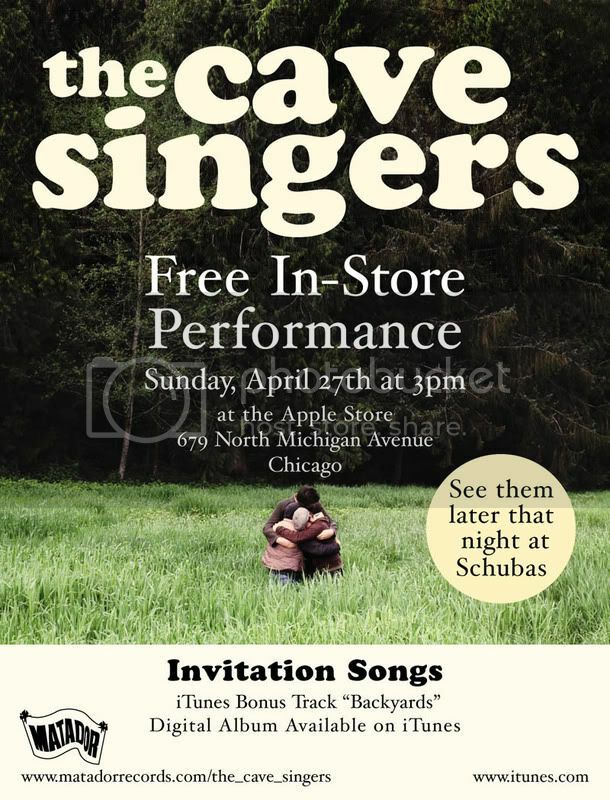 The Cave Singers Free In-Store – Apple Chicago! at the Apple Store in Chicago on North Michigan Ave! Sunday, April 27th at 3:00pm!